My name is Miloslav Simandl. 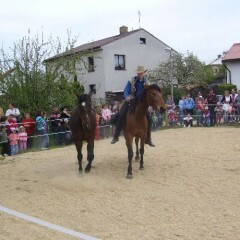 I was born in 1989 and I live in Blatna. I finished the blacksmith apprenticeship in Hněvkovice near Tyn nad Vltavou, where I also finished business studies. Currently I run a private business. 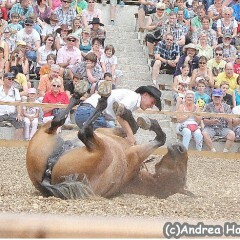 I dedicate my time to horse exercising, farriery and horse perfoming show in the Czech Republic and abroad. 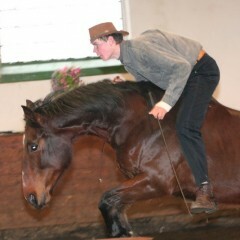 I own Deny, my oldest horse ,since I was twelve. 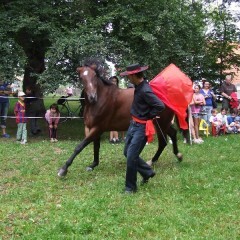 It is a Czech hot-blooded horse from our breeding. We started to work on the method of natural partnership, that we are constantly improving. 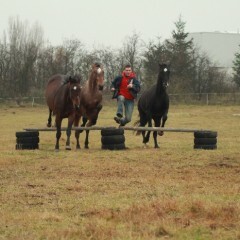 Currently I train with three horses at the same time. 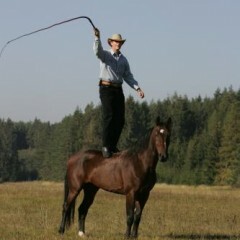 All exercises are performed in complete freedom. 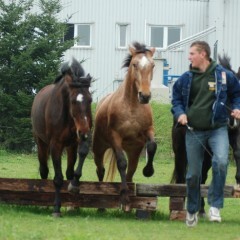 In 2009 I bought a 6 month old mare named Apawi. 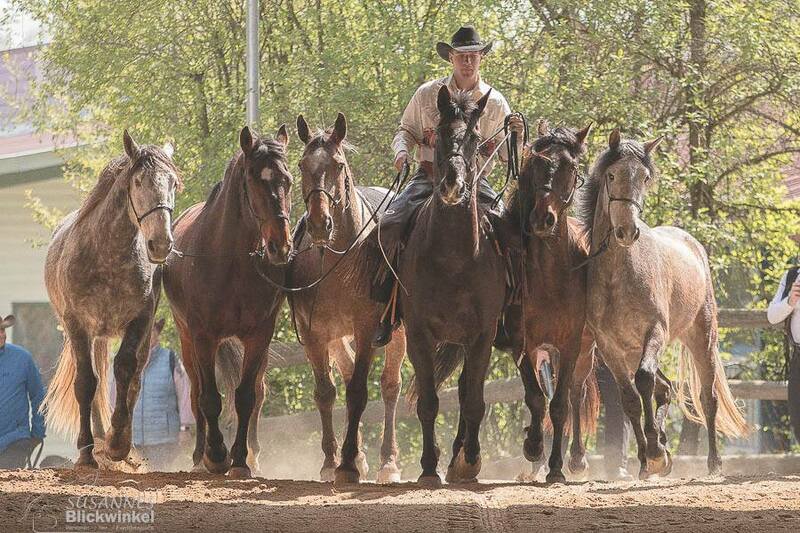 It is a crossbreed of Coba, Appaloosa and Andalusian horse. 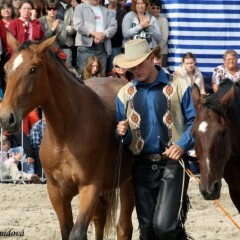 In september 2012 I extended my herd by 4 years old gelding Remi from Rhëiglander breed. 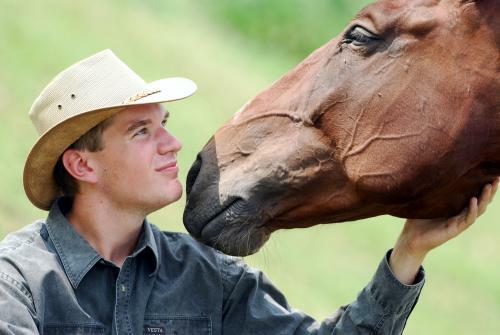 In my show, you can see the horse and human partnership at the highest level. 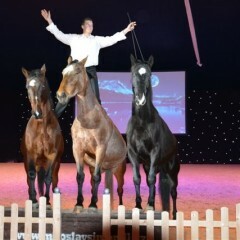 Horses perform dressage and circus elements freely. The show includes bowing down, lying down, sitting, Spanish Steps, piafe and passage. 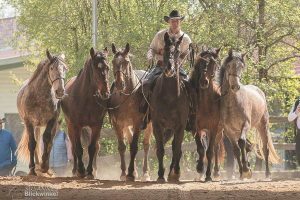 Our supreme trick is a free performance, in which all three horses run side by side, while I stand on the backs of two of them and we jump over hurdles. This performance is very attractive for the audience. In 2013 we had 160 performances in the Czech Republic and Germany. You can see videos and pictures from the shows on this webpage.